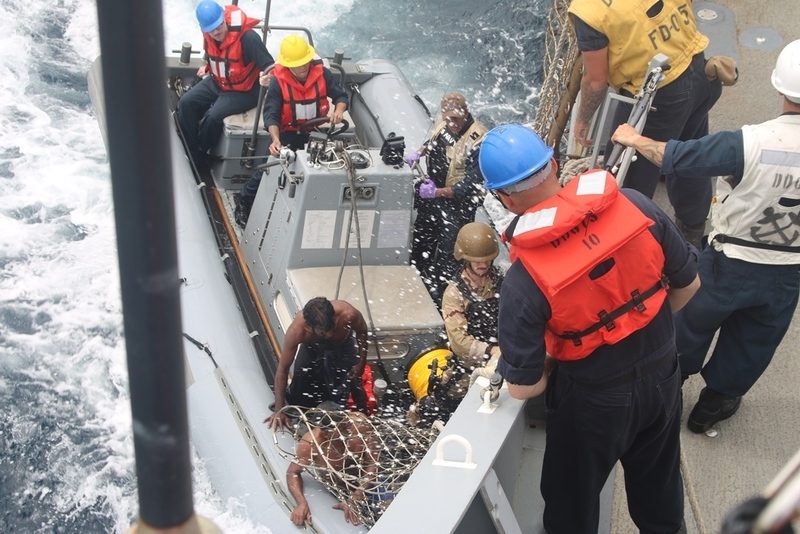 INDIAN OCEAN - The guided missile destroyer USS Decatur (DDG 73) rendered assistance to seven distressed mariners, Oct. 7-8, whose fishing boat had suffered an engine malfunction, rendering the vessel inoperable. Decatur was conducting a routine patrol Oct. 7 in the waters south of Sri Lanka when watch standers sighted a fishing vessel with fishermen onboard frantically waving rags in the air. 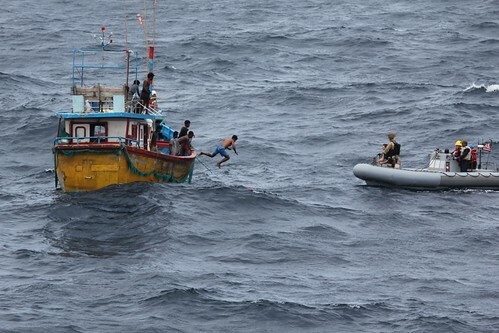 After pulling alongside the fishing vessel in a rigid-hull inflatable boat (RHIB), two of the fishermen were brought aboard Decatur. 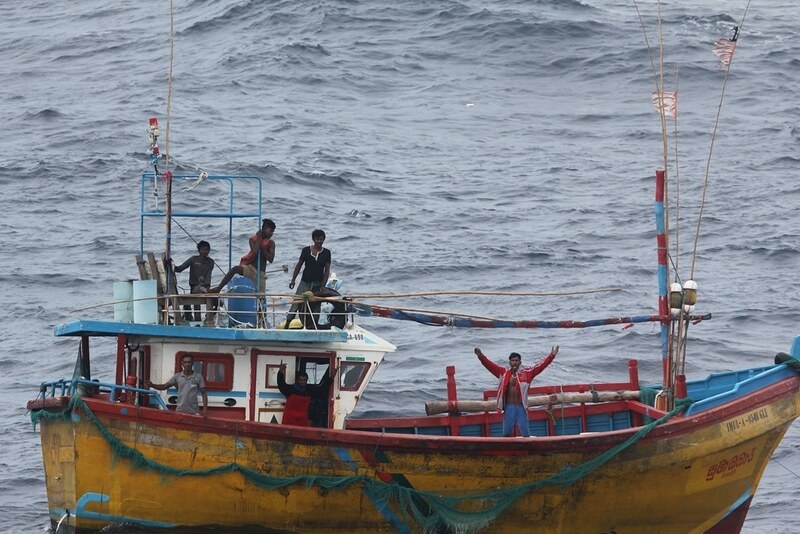 The fishermen stated that their vessel had experienced engine trouble and was unable to return to shore. The Decatur crew immediately offered to provide medical and towing assistance. The fishermen requested for the ship to contact the Sri Lankan authorities. Decatur provided food and water to the fishermen while they waited for the arrival of the Sri Lankan off-shore patrol ship SLNS Jayesagara (P 601) which arrived Oct. 8. Decatur is forward-deployed to the U.S. 7th Fleet area of operations in support of security and stability in the Indo-Pacific region.